Concealed carry aficionados — and large portions of the gun community as a whole — really like to read beginners guides and accounts of other people’s mistakes. If you keep up with a lot of YouTube gun guys, you’ll often hear them saying the same thing. It’s not because the market is flooded with beginners, although there certainly are plenty — and it’s certainly not because people get a kick out of catastrophic concealed carry failures, although some certainly do. It’s because people like to really, really cover the basics. Even long-time veterans of the firearms community will change opinions on some of the basics — like double- or single-stack, hammer- or striker-fired — from time to time. On that note, I thought I would assemble six things for you guys that I have learned that I think of as the most important since carrying a firearm. 1. You Are Not Immune to the Unbelievably Stupid. I’m no dummy. I did well in school, I’ve got a college degree, I placed in the top percentile in the ASVAB, etc. That crap doesn’t matter. There is no limit to how stupid and dangerous you can be if you fail to observe the rules of gun safety — especially treating every gun as if they were loaded. Dude. Spend the money. 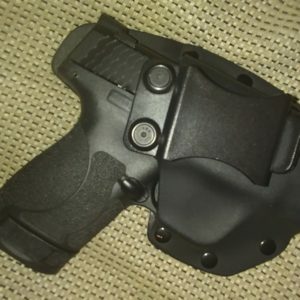 I started my time in concealed carry with a holster that cost less than $20. I almost quit carrying, it was so uncomfortable. Once, the whole thing nearly slipped out in public. Invest in a holster that you know won’t let you down. Kydex, leather, or hybrid holsters are a great place to start. I currently use an Osborne OWB Slim if anyone needs a good starting place. If it’s a choice between $20 and discomfort every day, or $50-$100, paid once for years of service, the choice is clear. 3. You Do Not Need More Than One Firearm on You If You Have One That’s 100% Reliable. When I first started carrying, I carried three guns. I was barely proficient enough with any of them to qualify for my carry permit, had I needed to do so again. Pick one firearm. Make sure that firearm will go “bang!” every time you pull the trigger. Get to a level with that firearm that it’s an extension of your hand. Make sure you can conceal it comfortably. Then, if you want, you can add a backup firearm, or two, or 57. I don’t care, as long as you can conceal them. Just don’t let a backup gun take the time you need with the one firearm that you’re ever likely to use in a conflict, should you have to engage someone. 4. Ammunition Technology Has Evolved to a Point That Whatever Caliber You Carry, You Can Make It Work. I’ve carried .45 ACP. I’ve carried .357. 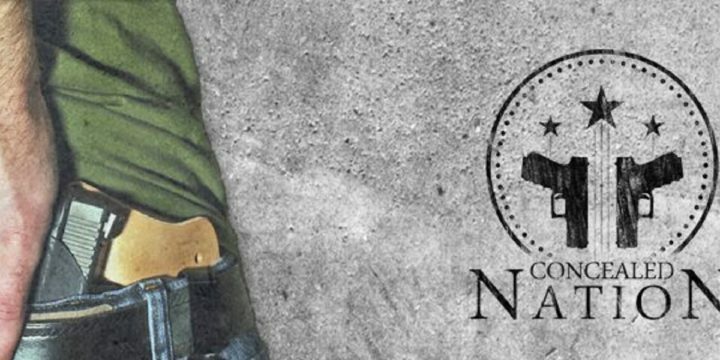 I’ve carried 9mm — and still do. I’ve carried .32 ACP. 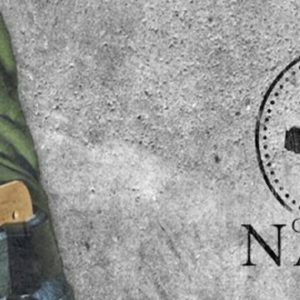 If you’ve got dedicated, high-quality self-defense ammunition and you possess the proficiency to hit your target, you will neutralize the threat. Many a time on this site we’ve reported on some person in their house killing a home intruder with a .22 LR — while it may not be the single best choice, even a tiny .22LR is a deadly threat. 5. Constantly Paying Attention to Your Surroundings, When Done Right, Is Exhausting. I think what’s even more frustrating, at least for me, is the fact that to conceal carry right, you have to pay attention to what’s going on around you without making it look like that’s what you’re doing. To maintain that level of alertness can certainly be a draining experience, especially in a crowded area. There’s not much for it, but you do get used to it. 6. Relax. No One Knows You’re Carrying a Gun. Everyone is terrified of printing. Take the best precautions you can, then relax. No one’s staring as waistbands looking for guns, and the only people that really know to look are law enforcement and concealed carriers. Stay on the right side of the law when you’re carrying, and even if someone notices, you’ll be okay. What do you think? What are some things you learned? Please share this on Facebook and Twitter and let us know! Meet the Americans who want Obama to repeal the Bill of Rights in order to keep the country safe from terrorists. Political prankster Mark Dice asks Obama supporters if they would support Obama's plan to repeal the Bill of Rights to protect Americans from terrorists. 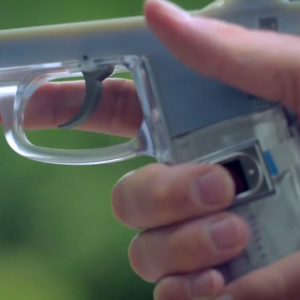 MIT Student Invents “Smart Gun”, Called The “Zuckerberg Of Firearms” — Can We Stop, Please? SUBMIT YOUR #DIGTHERIG | SEE MORE SUBMISSIONS HERE I carry a Smith & Wesson M&P Shield M2.0 in a custom IWB leather/kydex hybrid holster. I carry the Shield because it's lightweight and has an excellent trigger. I use a hybrid holster due to it's comfort and retainability.